President of the Yemen Supreme Political Council Saleh al-Samad said the war-torn country will take measures to "block the Red Sea shipping routes" if the Saudi-led aggressors continue their attacks against Yemen. The issue was raised during his meeting with the Deputy Special Envoy of the Secretary General of the United Nations to Yemen, Moin Shreim, as one of Yemen’s "strategic option" against Saudi-led coalition's continued attacks on the Red Sea port of Hodeida. He at the same time emphasized that Yemenis are "ready for peace” if their rights to have a life with dignity are respected. Al-Samad also criticized UN Envoy to Yemen Ismail Ould Cheikh’s silence on the increase of Saudi attacks, noting that this can discredit the UN role in resolution of the crisis, Lebanon's al-Mayadeen news channel reported. 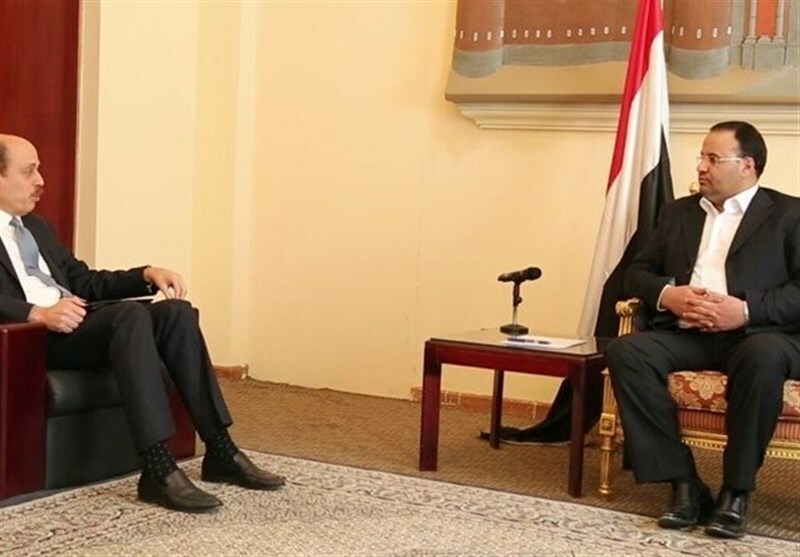 He referred to the UN offers for re-opening the Hodeida port and said that the suggestions are time-consuming and disappointing. Meantime, the deputy UN envoy for his part called for trust-building between the two sides of Yemen war to reach a negotiated solution to the conflict.